Spanish-language media company Entravision is buying Pulpo Media, a provider of digital advertising services and solutions focused on Hispanics in the U.S. and Latin America. The transaction, which will be funded from Entravision's cash on hand, includes an initial payment of approximately US $15 million and up to US $3 million in contingent earn out payments based upon the achievement of certain performance benchmarks. Pulpo Media will continue as an independent unit called Pulpo Media an Entravision company. Entravision is buying 100% of Pulpo Media from the following investors: MHS Capital (Mark Sugarman); Crosscut Ventures (Rick Smith); Siemer Ventures (David Siemer); Robert Simon; Jim Barnett (co-founder/Chairman at Turn); and, Founders Fund (Brian Singerman). Entravision is also buying the company from Pulpo Media's CEO Justin Kuykendall, who will stay on as President of Pulpo Media. Pulpo Media is headquartered in Berkeley and has offices in Spain, Mexico and Argentina. "Pulpo Media will continue to work as an independent unit partnering with Luminar and will leverage Entravision's 200+ salesforce," Maria Lopez Knowles, CMO of Pulpo Media tells Portada. "We will remain as Pulpo Media, an Entravision company. There will be no personnel changes," she adds. Will Pulpo Media continue to buy media for its clients at agencies and brand marketers across all digital publishers? Knowles tells Portada that "Pulp0 Media will remain media neutral across all publishers." Entravision is mostly present in the U.S., but Pulpo will continue to concentrate in both U.S. and LATAM. "Entravision's strong presence in Mexico, and border markets (along with LatAm) will only fortify us.," Lopez Knowles says. Pulpo Media will continue to work as an independent unit partnering with Luminar and will leverage Entravision's 200+ salesforce. "The addition of Pulpo Media is a strategic and highly complementary acquisition that will further strengthen our existing digital businesses," said Walter F. Ulloa, Chairman and Chief Executive Officer of Entravision. Pulpo Media's Maria Lopez Knowles, tells Portada that the acquisition of Pulpo Media by Entravision is a fit in many ways. "Our strong online expertise with the (i)Hispanic market is a great complement to Entravision's omnichannel offering, and Luminar's focus on Big Data and Hispanic insights. This will make us more competitive across the board." Originally mostly a pure play radio and TV company Entravision has been heavily expanding into the digital media space over the last few years. In 2012 it created Luminar, a Big Data solutions provider for the U.S. Hispanic market. 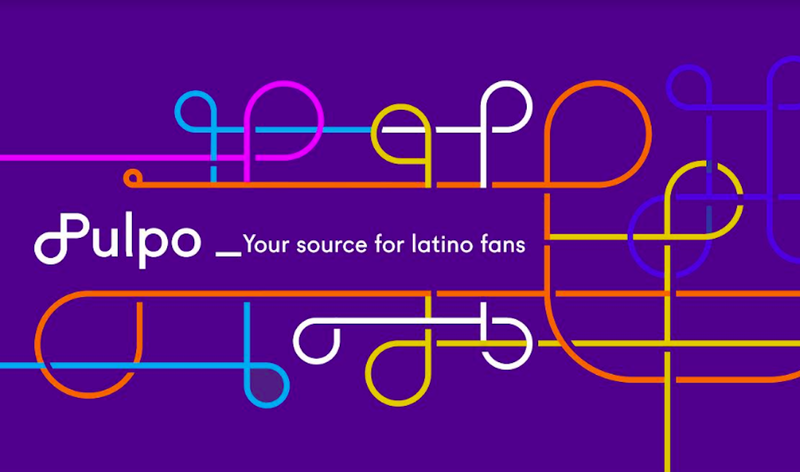 Earlier this year, Entravision, bought Todobebe, an integrated mostly digital content property focused on Latino motherhood. And now Entravision is adding Pulpo Media to its staple of companies.